During his tenure with the Ottawa Senators, Erik Karlsson became the face of the franchise, the captain of the team and arguably the best Senator of all time. He set franchise records and helped get the team the closest they’ve ever been to a Stanley Cup in 2016-17. He also won the Norris Trophy as the best defender of the year, twice. For the sake of the rebuild, the Senators moved on from their captain and since that time, his successor has emerged and exceeded expectations early. Thomas Chabot has taken the reigns of the Senators and run with it, having an incredible season as the team’s top defender. He’s already joined historic company this season and is currently second in the league in goals (10) and points (37) from a defenseman, in just his second season in the NHL. He’s just over a point-per-game at 1.03 and has the second-most points by a defender before Christmas in Senators history. The first, of course, is Karlsson (38). 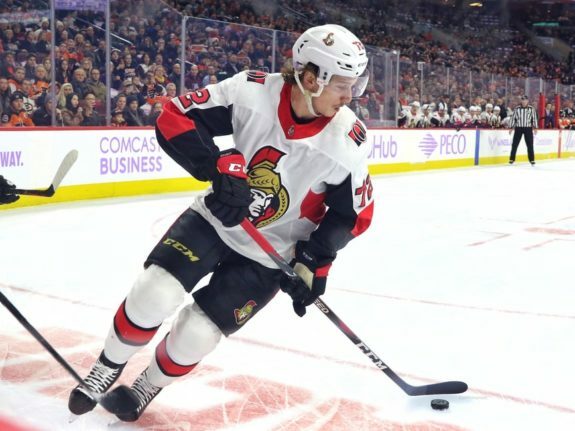 Chabot has been easing the blow for Senators fans from losing Karlsson and will continue to make it easy to get over their old captain. But the biggest question between the two, who’s better? Obviously, Karlsson wins that when taking a look at their careers, and that’s not even comparable at this point for Chabot’s short time in the NHL. But when looking at Karlsson versus Chabot through the same number of games into their careers, the answer isn’t so easy. Also, looking to the future, who will end up having the better career? Chabot is still young but has had an incredible start to his career. In fact, through the first 100 games of his NHL career, he ranks sixth in points by a Senator, tied with Alexandre Daigle. So, based on their starts, who is better: Chabot or Karlsson? The only reason that the question of Chabot or Karlsson could possibly be up for debate is due to the season the 21-year-old is currently having. Chabot’s overtime goal versus the Nashville Predators on Dec. 17 gave him 10 goals on the season, becoming just the ninth Senator to do so in a season. He’s been seeing the ice remarkably well, resulting in him getting the puck up the ice quickly through either a long pass or carrying it in on his own, just like that overtime goal versus the Predators. The young defender has already joined some historic company this season. According to NHL Public Relations, since its inception in the 1953-54 season, only five Norris Trophy winners have collected 22 points through their first 16 games. Those players are Bobby Orr (five times), Denis Potvin, Doug Wilson, Ray Bourque and Larry Robinson. Chabot sits seventh all-time in points through the first 33 games in a season by a defender. The six ahead of him include Paul Coffey, Dave Babych, Al MacInnis, Phil Housley, Orr and Potvin. Chabot also has the most goals by a Senators defenseman all-time through the club’s first 33 games (nine). Karlsson and Wade Redden had eight at the most by that point in the season. Chabot is currently on-pace for 84 points this season. Karlsson’s best season saw him get 82 points. Last season, John Carlson led all defenders with 68 points while in 2016-17, Brent Burns led with 76. To find the last time a defenseman had 84 points or more in a season, you have to go back to 1995-96 when Brian Leetch had 85 points. Important to note for Senators fans is that Leetch did not win the Norris Trophy from that performance, despite leading NHL defensemen in points. Chris Chelios, fourth in points, won the award that season. 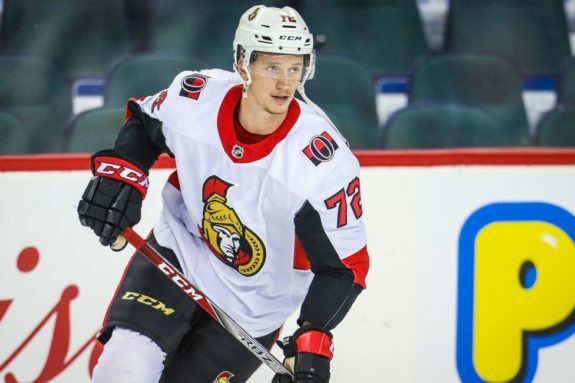 For now, Chabot has eased the blow from the Senators trading Karlsson. He stepped into the role of a number one defenseman and ran with it. He’s been in historic company throughout this season and if he can keep up his pace he will continue to be throughout. As the season progresses, all eyes will be on Chabot and Karlsson’s 82 points in 2015-16. While it’s too early to say that the 18th overall pick in 2015 is better than Karlsson, it is possible to say that the start to his career is better. Chabot just played his 100th NHL game. Through those games, he has 19 goals and 43 assists for 62 points to go along with 190 shots. At the end of Karlsson’s first 100 games, he had 13 goals and 38 assists for 51 points and 199 shots. Chabot leads in every category, with fewer shots. It could be argued that Chabot having Karlsson as his line partner last season helped boost his stats. But, he only played with Karlsson 43.6 percent of his time at even strength and 29.8 percent on the power play. Also, he had nine goals and 25 points last season, compared to his 10 goals and 37 points through 36 games this season playing with Dylan DeMelo this season, who he’s played with 47.2 percent of the time. So Chabot is producing at a higher rate with DeMelo next to him. To compare, we’ll look at Karlsson’s linemates during his first 100 games. In his first season, he split time on pairings with Filip Kuba (33.8 percent), Andy Sutton (21.8 percent) and Chris Campoli (20.5 percent). He had five goals and 26 points that season, similar to Chabot’s numbers. 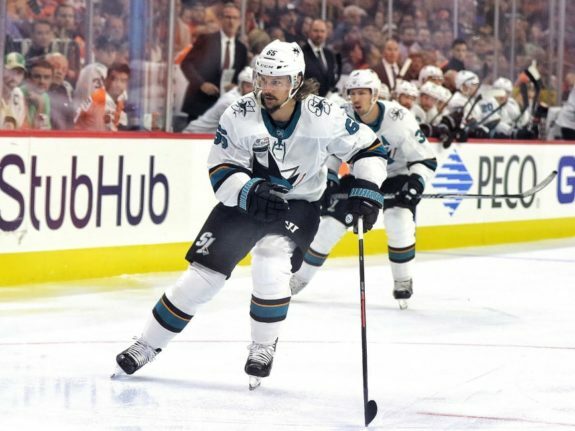 In his second season, Karlsson mainly played with Chris Phillips (33.2 percent) and Kuba (32.2 percent) and finished the season with 13 goals and 45 points, almost where Chabot is this season after three months. Chabot’s first season was with the offensive-minded Karlsson, a much better player than the defensive-minded DeMelo. In contrast, Karlsson had the opposite experience, starting out mainly with the defensive-minded Kuba and moving to Phillips, with more offensive talent. Yet, their rookie seasons were eerily similar, and Chabot is on-pace to blow past Karlsson’s sophomore season. With 11 more points in 9 fewer shots, Chabot comes out on top when looking at their first 100 games head-to-head. It’s a very good start for the Sainte-Marie, Quebec native, and if he continues to improve every season, he may pass Karlsson as the best defender in Senators history. However, Chabot still has a long way to go to steal that title from the former captain. Karlsson spent nine seasons in Ottawa, collecting 518 points in 627 games. Chabot has a long way to get to those point totals, but if he is able to maintain his current play, he may hit that point total faster than Karlsson did. However, it will take more than points for Chabot to take over the crown though. During his time with the Senators, Karlsson led all defensemen in points four times: 2011-12 (78), 2013-14 (74), 2014-15 (66) and 2015-16 (82). In two of those seasons (2011-12 and 2014-15), he won the Norris Trophy as the league’s top defender. He was a four-time First Team All-Star and played in the All-Star game five times. He also holds franchise records for points (82), goals (21) and assists (66) by a defender in a season, plus the most assists (16) and points (18) in the playoffs by a defender. He also has the most points (518) and assists (392) all-time by a Senators defender (he’s third overall in both stats when not accounting for position). Chabot will need to begin to eclipse Karlsson in some of these statistics and awards before he can be considered the best Senators defenseman, but he’s well on his way. The one thing Karlsson was not able to do is get the team to the Stanley Cup Final, which the team has only done once, in 2006-07. If Chabot helps the team get there, and maybe even wins a Cup, it would accelerate his transition into the next great Senators defenseman. It’s one of the few things that Chabot could achieve that Karlsson was unable to. In the meantime, Chabot has his eyes set on Karlsson’s single-season Senators records. In fact, he’s on-pace to break the records for goals (on-pace for 23) and points (on-pace for 84) this season.